A fun Halloween snack for all ages. 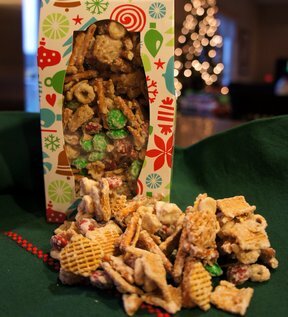 This recipe is full of everyone's favorite munchies and is coated with a sweet butter. 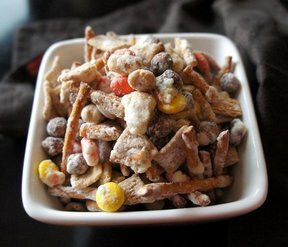 A popcorn treat that is easy to make and fun to eat. 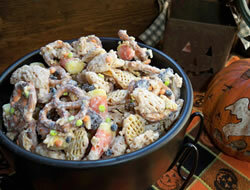 The perfect snack for kids to munch on while they are working on their pumpkin carvings. 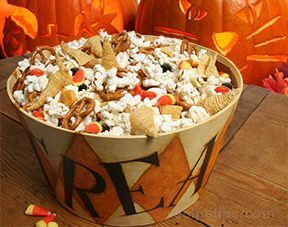 In a large bowl, combine popcorn, corn snacks, pretzels and peanuts. Pour butter mixture over the popcorn mixture and stir gently to coat. Gently toss in candy corn and M&M's.